The Bipartisan Policy Center (BPC) is a Washington, D.C.-based policy group founded in 2002 to promote bipartisan solutions to “the key challenges facing the nation,” focusing on both domestic and foreign policies. Founders included former senators Howard Baker, Tom Daschle, Bob Dole, and George Mitchell. Despite having bipartisan credentials as well as a broad slate of domestic and foreign policy projects, BPC has developed a reputation as a key inside-the-beltway supporter of hawkish security and defense policies, particularly with respect to Iran. BPC has also increasingly aligned itself with groups that are opposed to negotiations with Iran over its nuclear program. In November 2014, BPC co-hosted an event with the neoconservative Foundation for Defense of Democracies (FDD) and Foreign Policy Initiative (FPI) ahead of the then looming deadline for negotiations between Iran and the P5+1. The event featured speakers such as FDD executive director Mark Dubowitz, Eric Edelman of FPI, Sen. Mark Kirk (R-IL), and Iran-hawk Ray Takeyh, all of whom pushed for greater congressional involvement in the negotiations. A November 2014 BPC’s National Security project report on Iran’s nuclear program claimed that Iran “continues to test the boundaries of the current diplomatic process” and that a list of purported “minor infractions serves both to set a precedent and to probe the international community’s willingness to punish transgressions.” According to a December 2014 State Department briefing, Iran has kept all of its commitments under the interim-nuclear deal reached in November 2013 and extended until July 2015. In 2013, BPC had roughly $24 million in revenues and hd a staff of some 100 people working in several key program areas, including economic policy, energy, and national security. As of 2014, BPC’s president was Jason Grumet, a cofounder of the center whose résumé includes directing the National Commission on Energy Policy. BPC’s senior vice president was Julie Anderson, a former manager of the Climate Change Campaign for the Union of Concerned Scientists and a special assistant for legislative affairs for President Bill Clinton. Other notable principals at the time included John C. Fortier, a former research fellow at the American Enterprise Institute who led BPC’s Democracy Project, and Chuck Wald, retired four-star general who chaired BPC’s board of directors. Other board members included former Lockheed Martin CEO Norman Augustine; Dennis Archer, former mayor of Detroit; Walter Isaacson, director of the Aspen Institute; and former U.S. Senator Charles Robb. BPC runs five major programs, including Economic Policy, Energy & Infrastructure, Governance, Health, and National Security Programs. Nestled within its national security division is its special “Foreign Policy Project,” which is headed by Robb and Wald, along with former Colombian president Alvaro Uribe, former ambassador Eric Edelman, former undersecretary of state Paula Dobriansky, among others. BPC also has a “Homeland Security Project,” which is headed by former 9/11 commission co-chairs Thomas Kean and Lee Hamilton, and has a numerous panelists, including former Rep. Chris Carney and former Attorney General Edwin Meese III. Although it provides policy recommendations on everything from housing and energy to governance and health, BPC is particularly well known for its advocacy on security and defense polices, the issue area overseen for many years by the well-connected neoconservative figure Michael Makovsky, a veteran of the controversial Bush-era Office of Special Plans who has long-standing ties to Israeli politics. Makovsky is a former visiting fellow at the Claremont Institute and his brother, David Makovsky, is a fellow at the Washington Institute for Near East Policy (WINEP), a spin off of the American Israel Public Affairs Committee (AIPAC). In April 2013, Makovsky left BPC to become CEO of the Jewish Institute for National Security Affairs, a neoconservative-aligned advocacy group that works to build military-to-military ties between the United States and Israel. BPC formerly operated a “Task Force on Iran,” which was co-chaired by former Sen. Charles Robb and current BPC chair Chuck Wald. Most members of this task force, including Wald, have moved on to join the Jewish Institute for National Security Affairs' Gemunder Center Iran Task Force, a group whose briefings on Iran recommend increasing "pressure" on the country while negotiations are still on-going. In June 2012, Robb and BPC Foreign Policy Project Advisor Stephen Rademaker testified before the House Armed Services Committee (HASC) “to explain the Iranian nuclear threat and the option of using credible, visible preparations for military action to stop Iran’s nuclear development as a last resort,” according to the a BPC press release. In a March 2012 Standard article published during the lead-up to President Barack Obama’s appearance at the annual AIPAC convention, Makovsky argued that the United States should work to prevent Iran from developing the “capability” to build nuclear weapons—in contrast to preventing the acquisition of the weapons themselves. Makovsky did not elaborate on how exactly the United States could go about implementing such a policy. The 2012 policy paper was just the latest in a series of BPC papers dating back several years promoting confrontational approaches to relations with Iran. In 2008, for example, a Makovsky-led BPC team that produced the report “Meeting the Challenge: U.S. Policy Toward Iranian Nuclear Development,” whose lead drafter was American Enterprise Institute fellow Michael Rubin , an outspoken proponent of militarist U.S. policies in the Middle East. Other participants included Henry Sokolski ; Obama Middle East adviser Dennis Ross ; Pentagon official Ashton Carter: Stephen Rademaker, and Kenneth Weinstein, CEO of the Hudson Institute . In October 2008, a month after the BPC report on Iran was released, Makovsky was a featured speaker at a Hudson Institute conference titled “U.S.-Israeli Relations at a Crossroads? Challenges to the Special Relationship.” The conference hosted a range of speakers, including Daniel Levy from the liberal New America Foundation, as well as several neoconservative-aligned ideologues, like Elliott Abrams , David Wurmser , Douglas Feith , and Israeli Ambassador Michael Oren. Another key item on BPC’s agenda is defense spending, where the center has at times charted a moderate course. In November 2010, for instance, the BPC “Debt Reduction Task Force”—co-chaired by former Sen. Pete Domenici and President Clinton's former budget director, Alice Rivlin—released a report that provided a set of recommendations for reducing the federal deficit that included making defense cutbacks. Itcalled for a five-year freeze on defense spending, canceling various weapons systems, and reducing the number of soldiers and marines by 275,000 (nearly 10 percent off total active-duty personnel and reservists). The suggestions contrasted sharply with those pushed by other hawkish policy outfits, noted Jim Lobe at the time, including “three defense contractor-backed think tanks—the neoconservative American Enterprise Institute and the Foreign Policy Initiative and the far-right Heritage Foundation ,” who jointly published a report at roughly the same time as the BPC’s Debt Reduction Task Forcereport warning that defense cuts threatened the nation’s security. 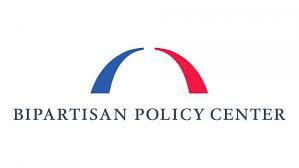 Bipartisan Policy Center (BPC), “About,” http://bipartisanpolicy.org/about/. Foreign Policy Initiative, "Looming Deadline and Unanswered Questions: What's Next For the P5+1 and Iran?" November 20, 2014,http://www.foreignpolicyi.org/content/looming-deadline-and-unanswered-questions-whats-next-p51-and-iran-0. Jim Lobe, “Calling Sens. Mitchell, Daschle—Your “Bipartisan” Center Is In Funny Company,” LobeLog, November 19, 2014, http://www.lobelog.com/calling-sens-mitchell-daschle-your-bipartisan-center-is-in-funny-company/. Blaise Misztal, “Update on Iran’s Nuclear Progra,” Bipartisan Policy Center, November 20, 2014, http://bipartisanpolicy.org/blog/update-on-irans-nuclear-program/. Jen Psaki, “Today’s Briefing,” U.S. Department of State, December 8, 2014, http://www.state.gov/r/pa/prs/dpb/2014/12/234818.htm. Charles Robb, Dennis Ross, and Michael Makovsky, The Economic Cost of a Nuclear Iran, Wall Street Journal, December 17, 2012, available athttp://www.washingtoninstitute.org/policy-analysis/view/the-economic-cost-of-a-nuclear-iran. John Allen Gay, “Should We Bomb Iran to Save Money?” National Interest, December 27, 2012, http://nationalinterest.org/print/commentary/should-we-bomb-iran-save-money-7906. Bipartisan Policy Center, “2013 Annual Report,” http://bipartisanpolicy.org/wp-content/uploads/sites/default/files/files/2013%20BPC%20Annual%20Report_hires.pdf. BPC, Foreign Policy Project, http://bipartisanpolicy.org/projects/foreign-policy-project. 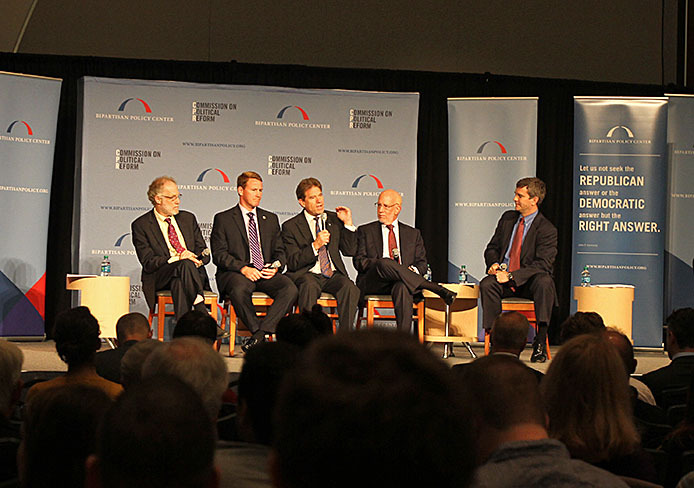 BPC, Homeland Security Panelists, http://bipartisanpolicy.org/projects/homeland-study-group/members. Jim Lobe, "Calling Sens. Mitchell, Daschle—Your "Bipartisan" Center Is In Funny Company," LobeLog, November 19, 2014,http://www.lobelog.com/calling-sens-mitchell-daschle-your-bipartisan-center-is-in-funny-company/. BPC, BPC Iran Task Force members Senator Charles Robb and Stephen Rademaker testify to House Armed Services Committee, June 20, 2012, http://bipartisanpolicy.org/news/multimedia/2012/06/20/iran-testimony. Michael Makovsky, Letter to House Committee on Foreign Affairs Chairman Ros-Lehitnen and Ranking Member Berman,” BPC, May 17, 2012, http://bipartisanpolicy.org/library/letters-and-testimony/letter-house-committee-foreign-affairs-chairman-ros-lehitnen-and-ranki. Michael Makovsky, “The Red Line for Iran,” Weekly Standard, march 2, 2012, http://www.weeklystandard.com/blogs/red-line-iran_633088.html?page=2. BPC, “Meeting the Challenge: Stopping the Clock,” BPC, February 2012, http://www.bipartisanpolicy.org/sites/default/files/BPC%20Iran%20Report.pdf. Jim Lobe, “U.S. Group Urges "More Credible" Military Threat Against Iran,” Inter Press Service, February 1, 2012, http://www.ipsnews.net/news.asp?idnews=106619. BPC, “Meeting the Challenge: U.S. Policy Toward Iranian Nuclear Development,” September 2008, http://www.bipartisanpolicy.org/ht/a/GetDocumentAction/i/8448; Jim Lobe, “Top Obama Advisor Signs on to Roadmap to War with Iran,” Lobelog, October 23, 2008, http://www.ips.org/blog/jimlobe/?p=198#more-198. BPC, Meeting the Challenge: U.S. Policy Toward Iranian Nuclear Development, September 2008, http://www.bipartisanpolicy.org/ht/a/GetDocumentAction/i/8448. Gareth Porter, “The NIE Bombshell,” Right Web, December 6, 2007, https://rightweb.irc-online.org/rw/4796.html. Jim Lobe, “Top Obama Advisor Signs on to Roadmap to War with Iran,” Lobelog, October 23, 2008, http://www.ips.org/blog/jimlobe/?p=198#more-198. FNS Daybook, Event: Hudson Institute holds a discussion on “U.S.-Israeli Relations at a Crossroads? Challenges to the Special Relationship,” October 8, 2008.
is available on BPC’s Debt Reduction Task Force website, http://bipartisanpolicy.org/projects/debt-initiative/about. BPC, “Indefensible: The Sequester’s Mechanics and Adverse Effects on National and Economic Security,” June 2012,http://bipartisanpolicy.org/library/report/sequester. CBO, “Long-Term Implications of the 2013 Future Years Defense Program,” July 11, 2012, http://www.cbo.gov/publication/43428. Ben Armbruster, “Defense Budget ‘Would Still Be Larger Than It Was In 2006′After Sequester, CBO Finds,” ThinkProgress, July 13, 2012,http://thinkprogress.org/security/2012/07/13/516180/cbo-dod-budget-2006/.